Some quick thoughts below on diagnosis, treatment and prevention, followed by a list of solid resources to get comprehensive information on all things related to Lyme and tick-borne illnesses, including prevention. The current two-tier testing (ELISA and Western Blot) offers about a 50% accuracy (Virginia was the first of several states to adopt legislation requiring physicians to inform patients that a negative result does not rule out Lyme), but other tests can be helpful in diagnosing Lyme and tick-borne illnesses. While there are patients who accurately test positive, Lyme requires a clinical diagnosis. There is good information on testing and diagnosis here: https://www.lymedisease.org/ On that website, under “Lyme Basics” (the left most navigation item), there is a link called “Diagnosis” that gives comprehensive information on testing. Comprehensive and more thorough testing is available through – Igenex Lab. Lyme disease and other tick-borne illnesses often occur simultaneously. No matter how many patients or physicians you speak to, you will hear different opinions about the efficacy of various treatment options. There are hard divides within the medical community, with IDSA (Infectious Disease Society of America) doctors stating that treatments need only be a few weeks of antibiotics, ILADS (International Lyme and Associated Disease Society) doctors stating that long-term antibiotic treatments are absolutely necessary, many alternative physicians stating that the best way to treat is holistically, and some alternative physicians stating that combination therapies (allopathic with alternative) are best. 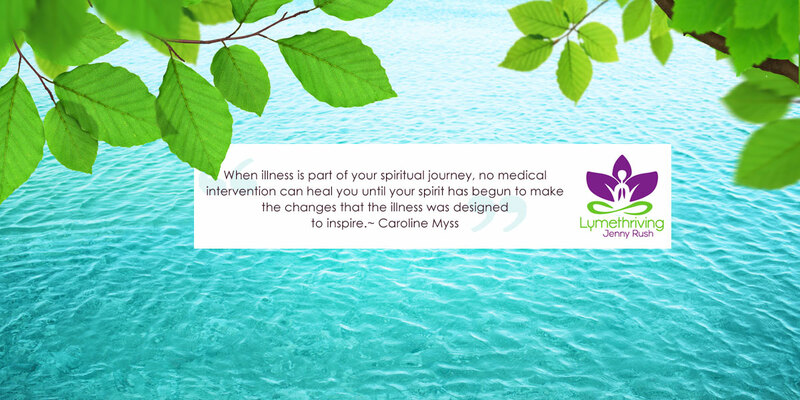 Over the years of dealing with Lyme personally, and then, after restoring wellness, working with many Lyme patients, I have found that there is no one way to treat that works for everyone. Ultimately you have to embrace a treatment protocol that feels right for you, and make changes to it as the necessity arises. In my experience, it frequently takes a team of healthcare providers to support a patient who is dealing with the complexities of this multi-systemic disease. While I am not an expert on treatment protocols, I can share that, for patients who are dealing with chronic Lyme and tick-borne illnesses, much of what the IDSA states with regard to the efficacy of short-term antibiotic treatment plans has been disproven, both scientifically and by what most patients actually experience. I can also share that I have dealt with people who have restored their wellness via allopathic care, holistic care, and a combination of both. Whatever path you chose to follow, it is strongly advised that you work with healthcare providers who are either Lyme experts or very knowledgeable in the area of tick-borne illnesses. Prevention is always best, so here are a variety of ways to protect yourself from ticks. You should know that ticks can be active all year round, but are most active during spring, summer and fall. In my experience here in Maine, spring is insanely active, even more so than in the summer. Dogs and people can be protected with tick repellent sprays. There are chemical sprays as well as natural sprays, easy to find in outdoor stores and online. Wearing protective clothing is also very helpful, especially light colored clothing. There is clothing available that has already been treated with permethrin, or you can purchase permethrin and treat your clothing and shoes yourself. If you prefer to stay away from chemicals, you can spray yourself with blended essential oils instead. It is recommended to keep lawn trimmed well. Always check yourself for ticks if you have been outdoors. Taking a shower is a good way because you can more easily find ticks that may be hidden under clothing. It doesn’t take long to do. Since I spend so much time outdoors and in woodsy areas, I am now in the habit of glancing down at my legs at regular intervals. It is also worth noting that Lyme disease has been found in every state in the USA, and across the world. While it is more prevalent in some areas, there are occurrences everywhere.